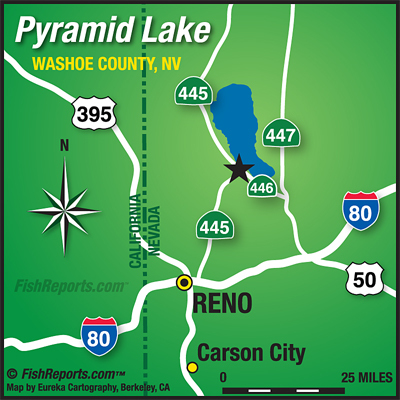 Pyramid Lake is now open. Early reports from opening day were pretty mixed. The surface water temperature is still in the low to mid 60's. This is fairly warm going into the season. Boaters did the best trolling in 10-30 feet of water on the West side of the lake. Shore anglers are going to have to deal with weeds for a few more weeks due to the warm water. Once the weather changes weeds will die off and the bottom will be more conducive to dragging flies and jigs along the bottom. There were fish caught on most of the popular beaches in a variety of ways but Spin fishermen using lead head jigs seemed to do the best. There is lots of bait (Tui Chubs) along the West and South end of the lake. Seagulls are a dead giveaway to some of the numerous bait balls showing up in shallow water. There is plenty of action around these areas. Minnow patterns fished with a fast sinking line for fly fishermen is a good way to go if you can figure out how to stay out of the weeds. Using a float tube or a pontoon boat is also a good way to go if you are careful to keep an eye on the winds and weather. Getting out into a little deeper water is an advantage right now. Warrior Point is a great place to try out your float tube skills and there are plenty of fish and bait hanging out in this area. 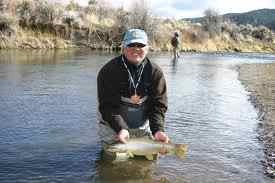 The fishing should only improve as water temperatures cool and the weeds die back.